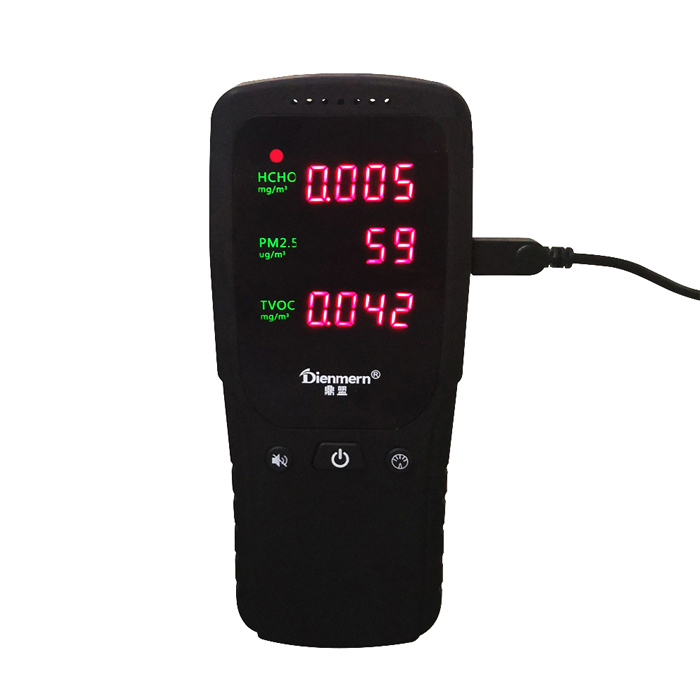 Strong anti-interference, with usual calibration,detect more accurate. it analyze air quality and detect HCHO,TVOc,PM2.5 display. 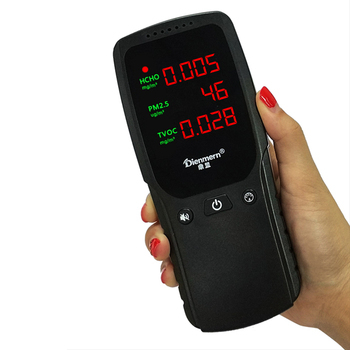 The formaldehyde detector meter is suitable for new furniture & decoration, living room, for the new car etc. -screen display ,24 hours real time monitoring. 1 Q: Why need to calibrate? 2 Q: the test value has been 0, spray perfume will rise? 3 Q: How much range of detection of formaldehyde concentration detector,how many square meters? 1) The principle is less than 50m3 ,the room should be set 1 to 3 points;50 ~ 100m3 Set 3 to 5 points;More than100m3 at least 5 points. On a diagonal or plum blossom evenly distributed. 2) Sampling points should avoid the ventilation, from the wall distance greater than 0.5m. 3) The height of the sampling point: in principle, consistent with the human breathing.Relative height of 0.5m ~ 1.5m between. 4 Q: Why is the product sounding when working? A: The device need to collect a lot of mobile air, in order to ensure accurate detection of the fan needs strong operation, so a little sound is normal. 5 Q: What is the standard for formaldehyde (HCHO)? 6 Q: What is the standard for total volatile organic compounds (TVOC)?